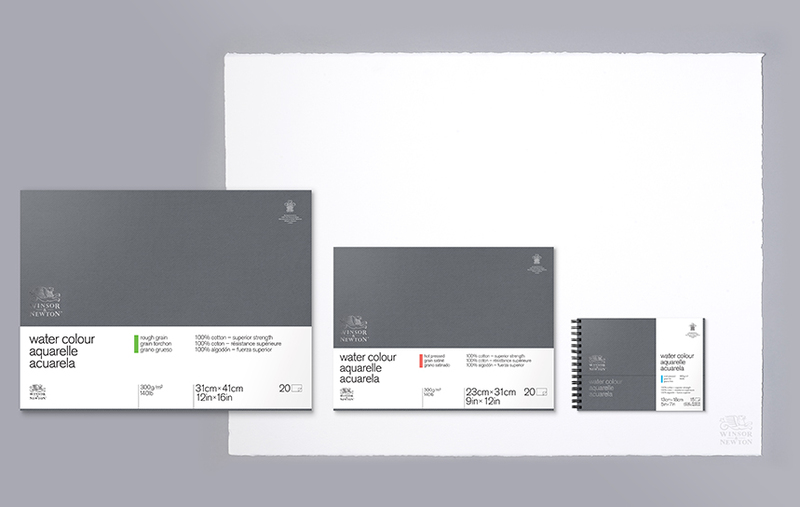 Winsor & Newton have introduced two new watercolour paper ranges, created in the tradition of fine papermaking, using the finest raw materials and cylinder mould made. Winsor & Newton 100% cotton and archival grade cellulose wood pulp watercolour papers are as tough as they are beautiful. 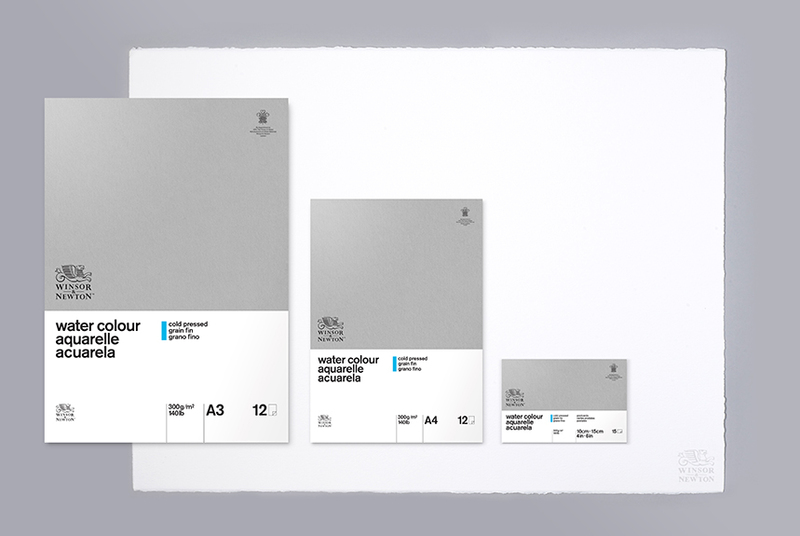 Expect exceptional strength, absorbency, colour performance and resilience in every sheet. New 100% cotton or archival grade cellulose wood pulp watercolour papers from Winsor & Newton. Cylinder mould made for finest quality watercolour papers. Papers look and feel handmade with a watermark and deckle edges. 100% cotton made from the highest grade cotton fibres. Archival grade cellulose wood pulp made from the finest grade wood pulp and natural spring water. Internally and externally sized for even washes, lustre and transparency of colour. A resilient, durable, rough editable surface that won't cockle or warp. High quality surfaces with excellent colour performance. Acid free, no optical brighteners and brighter natural whiteness. Rough grain, cold and hot pressed (100% cotton) or cold pressed only (archival grade cellulose wood pulp). Naturally archival papers that stand the test of time. Our 100% cotton or archival grade cellulose wood pulp papers will not degrade or yellow over time. Traditional cylinder mould made and internally and externally sized. Traditonal cylinder mould made and internally and externally sized. Highest grade 100% cotton (finest quality paper, naturally archival). Designed with the fine artist in mind, Winsor & Newton Professional 100% cotton is an exceptional paper that looks and feels handmade. The length and quality of the cotton fibres used gives the paper its luxury feel and result in superior strength and durability making these the superior choice for the finest of artworks. Available in loose full imperial sheets, glued paper blocks and a spiral bound journal, each in in three surfaces. 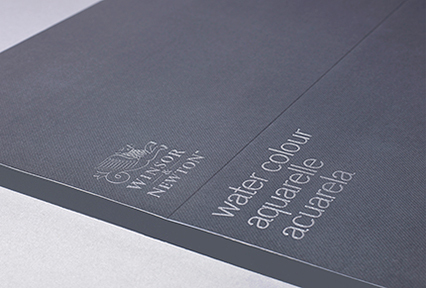 Winsor & Newton Professional Water Colour Paper Blocks feature a beautiful textured cover complete with silver foil printing. The white paper band is also removable, allowing you to see the cover in its entirety. 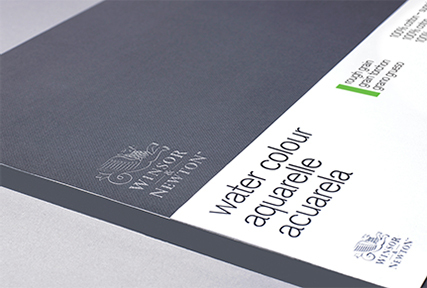 Winsor & Newton 100% cotton paper is cold pressed, hot pressed and rough. Winsor & Newton archival grade cellulose wood pulp paper is cold pressed only. Paper with a very smooth surface and practically no 'tooth', and important consideration for detailed portraiture and smooth washes. 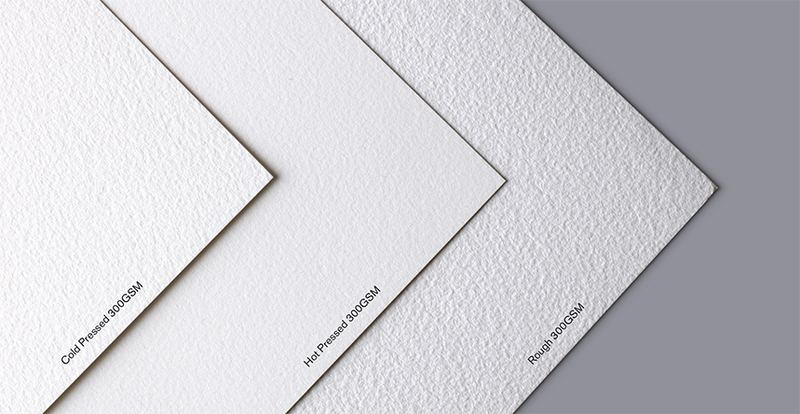 Paper with a slightly textured surface or 'tooth', great for painting with texture and colour depth. Paper has a pronounced, varied texture, making it popular for watercolours with a free, loose feel.